Emergency Alert Systems: Digital Tests to Enhance the Emergency Alert System - Emergency Alert and Notification for Emergency Alerts and Community Warnings. The Department of Homeland Security's Federal Emergency Management Agency (FEMA), the federal government's program manager for the national Emergency Alert System (EAS), along with the Association of Public Television Stations (APTS) and the Department's Information Analysis and Infrastructure Protection (IAIP) Directorate, have joined other federal departments and agencies and several private communication companies and broadcasters for a series of tests using digital technology to improve America's alert and warning system. The tests are part of a one-year pilot project to demonstrate how the Department can improve public alert and warning during times of national crisis through the use of local public television's digital television broadcasts. Called the Digital Emergency Alert System (DEAS) National Capital Region Pilot under the Department of Homeland Security's Integrated Public Alert and Warning (IPAWS) initiative, the tests are successfully demonstrating how DHS and the National Oceanic and Atmospheric Administration (NOAA) can disseminate alert and warning messages leveraging public-private partnership. Utilizing the digital capabilities of the nation's public television stations and the voluntary participation of cell phone service providers, public and commercial radio and television broadcasters, satellite radio, cable and internet providers, and equipment manufacturers, the tests represent the beginning of an IPAWS program designed to provide critical life saving information to the nation in a timely and effective manner. 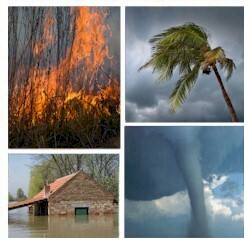 "These tests emphasize the use of state-of-the-art digital technology and a partnership among the federal government, the Association of Public Television Stations, America's wireless telephone industry and other service providers to dramatically enhance America's alert and warning capability," said Under Secretary of Homeland Security for Emergency Preparedness and Response, Michael D. Brown. "These tests have successfully demonstrated that public broadcasters can provide an effective, flexible and rapidly deployable means of communicating alerts, instructions and other critical information to other broadcast media outlets, to other communications services providers and to computers through the local area networks in government and other offices." John Lawson, president & CEO of APTS, said "The success of these tests demonstrates the impact that local public television stations' digital infrastructure can have in enhancing the ability of the President of the United States to communicate with the American public during a national crisis. The use of public television's technology infrastructure for public safety makes a lot of sense, given the investment the federal government and local communities have made in that infrastructure. As a result, the 294 digital public television stations across the country can act as the nexus of a wireless network capable of broadcasting data -- or 'datacasting,' the types of information successfully tested over the past two weeks." The success of the DEAS pilot tests depended on the cooperation among the project participants from the broadcast, cable and wireless telecommunications industry, as well as emergency management officials, to receive, broadcast and re-broadcast simulated emergency messages. APTS provides overall project management for the pilot, and other core participants include PBS and WETA, of Arlington, Virginia. The Emergency Alert System, which brings millions of people those familiar squawking tones and beeps on radio and television, deliver just about every day on the local level severe weather alerts, hazardous materials incidents and the lost child-Amber Alerts. The national aspect of the EAS provides the President the capability to address the American people through thousands of broadcast stations, television cable systems and participating satellite programmers in the event of a national emergency. Automatically send emergency phone messages from your computer system using our XML push software. Let our phone system automatically access information from your computer systems and web servers using our XML Pull and web information retrieval logic. Alerts can be automatically broadcast to systems administrators or to an entire department based upon an external event such as a power failure or system failure. Other applications may be as simple as wakeup calls or weather alerts that are triggered automatically from your own computer systems or websites. Using standard XML protocol, develop applications that transmit messages to our phone systems to perform the required phone messaging tasks. This could including simply sending a single message to one phone number, several phone numbers, or to an entire list of numbers. The emergency message can be sent in the form of a wav file or a text file that is automatically converted using our text to speech software. Several voice wav files can be designated in the XML push message, giving you maximum flexibility. 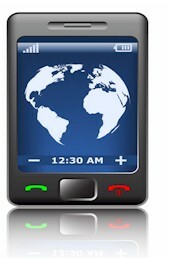 Contact DSC for a FREE analysis and to learn more about our automatic phone messaging systems and services. XML emergency messages can be easily sent from your existing computer applications. Database Systems Corp. supports several "canned" XML message formats, but can develop new formats that fit your requirements.